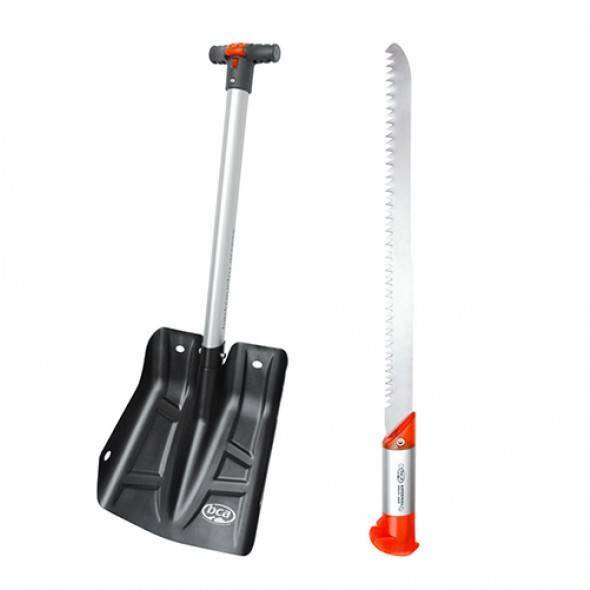 The Arsenal saw system includes a 35 cm snow/wood saw that is stowed inside the shovel grip. Once the saw is deployed, the shovel remains fully assembled and functional: the shaft does not have to be removed from the blade and the grip is still intact. Available in four versions, including both fixed-length and extendable.